Megan Rothrock is a former LEGO designer, and current freelance toy designer, who obviously knows her way around the ABS brick. She returns to write a second volume of The LEGO Adventure Book, which brings back her advanced building techniques for younger readers. The second volume of The LEGO Adventure Book again uses a comic book layout via photos of LEGO brick build structures and minifigure representations of Megan and her friends. It give the book context as to what they are building and why. Each little vignette gives context to what they are building, whether the story claims to be fixing something, building something new, or just building an add-on to a structure shown in the book. 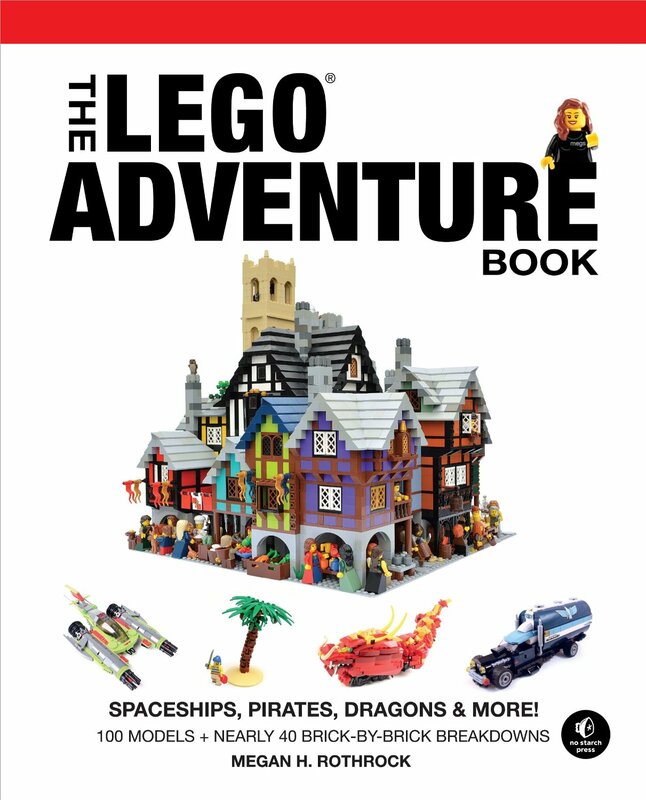 The LEGO Adventure Book Volume 2 has instructions for over 100 different builds, separated into 11 chapters. Each chapter features the designs of a different builder, with the first chapter featuring the work of Megan herself. Each builder works within a theme that is introduced when Megan “meets” the builder on the first page of the chapter and then is explored more in depth as the building instructions are shown and explained. Readers are walked through spaceships, cars, trucks, houses, and other builds of different sizes as Megan talks about them with her minifigure friends. The simplified presentation via comic strip makes the book appear to be aimed at younger readers, but it has building tips for readers and LEGO builders of all ages. By making even the advanced seem simplistic, she makes it accessible for anyone to learn to make complex LEGO builds with ease and learn new building techniques.